Here’s a story about a wonderfully dynamic woman who has taken charge of her search for a kidney and is doing everything right. Now we just have to help to find her a donor. Meet Peggy. Peggy is as full of life as any 20 year-old, which comes as no surprise since most of her relatives were healthy up to or beyond 100 years. Peggy plays duplicate bridge, is active in her book club and participates in her sorority at UConn, and she is in excellent health apart from her kidneys. Peggy has polycystic fibrosis, and her kidneys are at the end of their ability to function. She hasn’t taken this situation passively; she has been on the search for a donor through her website and her Facebook page. Not ready to stop there, she has been featured on a local Channel 12 broadcast where she was joined by Senator Blumenthal, written about by her alma mater here, and showcased in the local newspaper. Peggy’s website is http://www.kidneyforpeggy.com/ and her Facebook page is https://www.facebook.com/margaret.karbovanec . Seriously, folks, anyone who is this proactive for herself deserves the chance to really enjoy the next thirty years of her active life. Please share this post and let’s see what we can make happen for Peggy, thank you. Hello, my name is Peggy (Margaret) and I am a retired guidance counselor. I guess you could say that my life has revolved around education. My own schooling, graduating from the University of Connecticut and earning advanced degrees at the University of Bridgeport, began my journey. I then went on to teach third and fourth grades. Later I became an elementary, middle school, and finally a high school guidance counselor. I can honestly say that I LOVED my job and was fortunate to have found the perfect career for me!!! In 2006 I made the decision to retire and to explore new directions and avenues. I am very much into bridge, cooking, reading, traveling, walking, and a little golfing. During my retirement I was able to help my elderly aunts, ages 102 and 104. I am privileged to have had my older aunt living with me for the last two years of her life. It was in 2014 that my doctor noticed that I had an elevated potassium level. She referred me to a nephrologist and he told me that I had less than 20 percent kidney function and was close to going on dialysis. I have polycystic kidney disease. PKD is a hereditary disease in which cysts form in the kidney causing the kidney to enlarge and eventually leading to complete kidney failure. I have been put on the list for a deceased donor kidney, but the wait is very long. 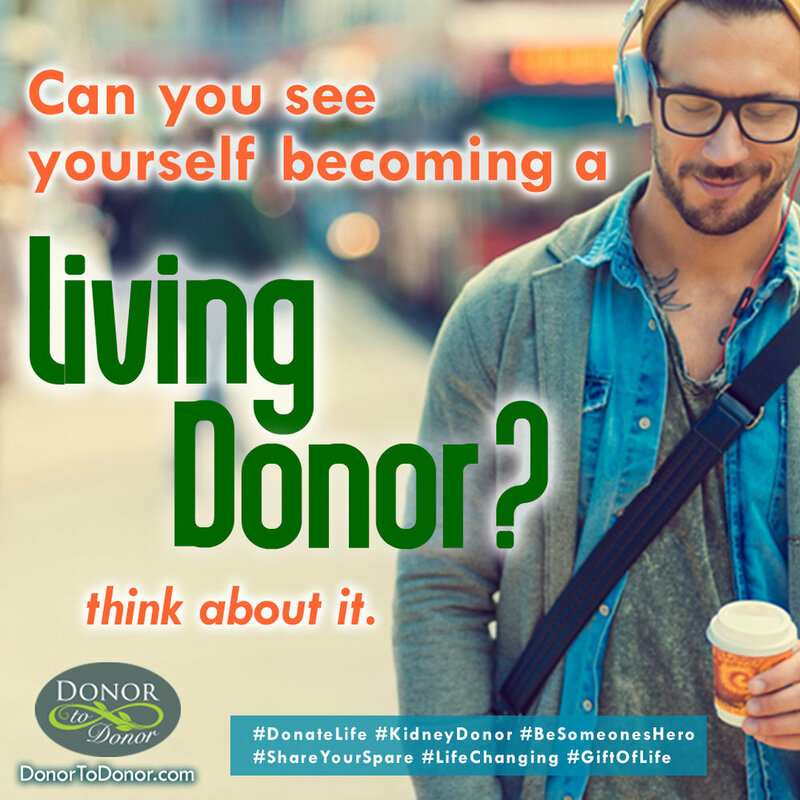 I have been encouraged to seek a living donor and to do so before dialysis is necessary because a living donor offers the best chance of survival. Can you help? Would you consider being a donor or help me find someone who would be willing to be a donor?